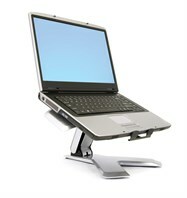 Ideal for use with a laptop fitted with an eye gaze system such as the myGaze Assistive System or myGaze Power. 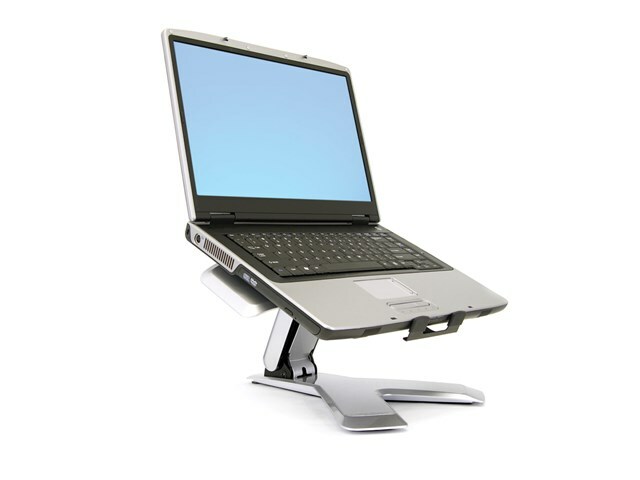 Tilts the laptop keyboard down and out of the way and raises the screen up to eye level, making positioning for eye gaze much easier. Includes lift stand, cable ties, non-slip pads, safety tabs, and hook and loop tape. Width adjustable - compatible with most laptops.